Content is King #2: Is SEO Dead? SEO isn’t dead; it has evolved and now requires descriptive keywords, as well as engaging content to help your online marketing succeed. Quality content is very important when it comes to today’s marketing online. But it hasn’t replaced search engine optimisation (SEO). What has happened is that SEO doesn’t work without good, quality content. Your website and its content still needs to include rich keywords that your target market uses to search for your services or products, but stuffing your pages with keywords will see your page penalised by Google, which means it will rank low. Search engines i.e. Google, look for content based on the words the online user enters and then returns what it thinks deems most relevant in the search results. These results are still based on programming and algorithms. So to optimise your website’s, you still need the proper keywords as well as engaging, well-written, well-researched and informative content. But, you can’t just write great and informative content, with a few keywords and hope for the best. What you need to do is create content that converts your readers into actors, readers that do something, react to your content. Some ways are to make them to sign up for your newsletter or download your free e-book, in exchange for giving you their e-mail address so you can send them newsletters, and possible marketing e-mails. They could share your video from their social media sites, so that you can hopefully reach more people and possibly get more followers. They may even – buy from you. Have you ever though of going back through some of your old posts and see if you can re-link them to newer posts. (This is best to do this with your most popular older posts). Doing this can help your readers of older posts read newer posts, plus Google really loves it when inside links do this. Look carefully at your calls to action headlines. Check to see if any links are getting clicked on. Then possibly tweak the calls to action of those pages where the few people act. Your page load should be no more than three – four seconds. These days people have exceptionally short attention spans. If you want people to click a link on a page or give you their e-mail, they have to stay on your page. “Long” loading time means people could leave your site. Use your old content in new ways. Take your posts and maybe turn them into an e-book, or any case studies. If you have a long post on an interesting topic, think of re-writing it into two or three posts. SEO isn’t dead. It’s just changed. For the better we think. Google has forced marketers and SEO companies to do what they should have been doing from the start: provide engaging, informative, and trustworthy content. 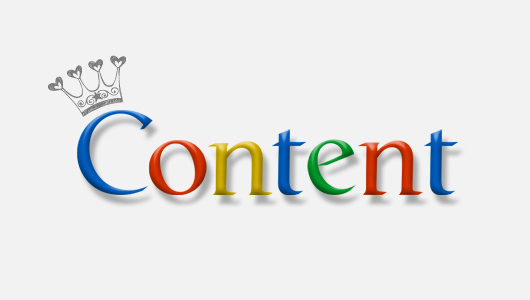 March 18, 2015 admin Google, SEO Comments Off on Content is King #2: Is SEO Dead? Last Friday February 27th 2015 saw the opening night of the 2015 Adelaide Festival, and we got to be part of a very special VIP cocktail reception followed by an amazing extraordinary show named Azimut. And at 9m, Blinc was switched on at the banks of the River Torrens, which saw the area transformed into an outdoor digital art party (see video below). For us at DesignLab it has been another successful year being part of a design team whose skills are on signage as well as other services such as graphic design. This year we worked again with Visualcom who are one of Adelaide’s largest and best signage installers. Signage plays a very important role in the Adelaide Festival, we design and develop a lot of different materials such as bus and trams wraps, bus shelter posters, corflutes, large street signage, car decals and much more! As a business are you aware that your signage is vitally important? Yes it is! When you stop and think, it makes sense that signage is crucial to your business. In many cases your signage is the first thing a potential customer sees about your business. Every business has competition… whether it be a little or a lot, and to stay ahead of the pack in a competitive world of business in the 21st century, you need to communicate with prospective customers through your signage, by making sure you are sending a clear message effectively and quickly that says your business is the best choice for them. What Signage Can Do For Your Business! Signage can be very effective at building your business if you incorporate your corporate identity that help identifies what your business is about. One benefit of branding with signage is that once your logo and brand is firmly established in a locality, it helps reduces the amount of money you need to spend on other advertising. Signage offers an economical and highly effective way of presenting and reinforcing your message to the public. Whatever type of signage you use for your business, it needs to be carefully designed so that you will reap the maximum benefits of attracting potential customers. DesignLab are always ready to help you create the ideal signage for your business. To make sure your business makes the best impression, contact DesignLab for all of your signage needs!